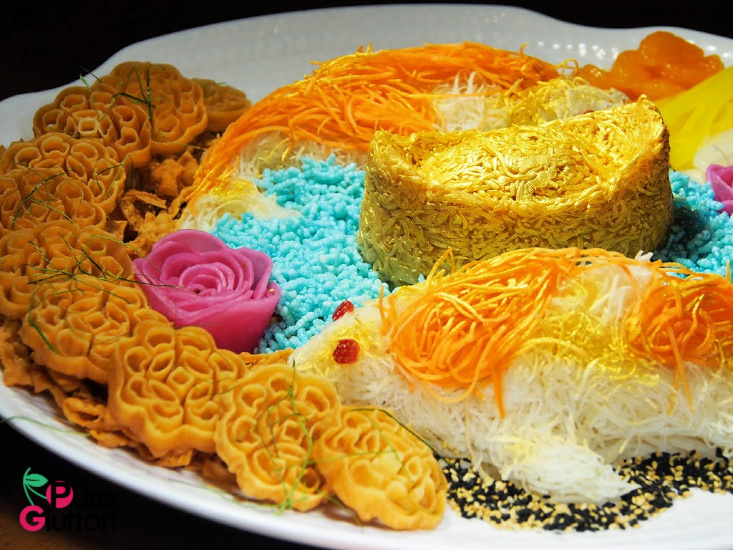 Who serves Yee Sang with 28K gold? 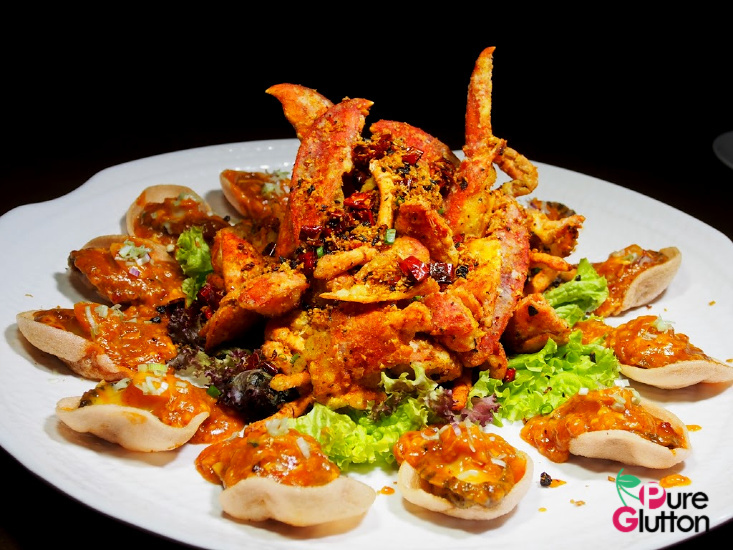 Talk about attracting prosperity, Ruyi ups the game by serving edible gold in their Yee Sang. 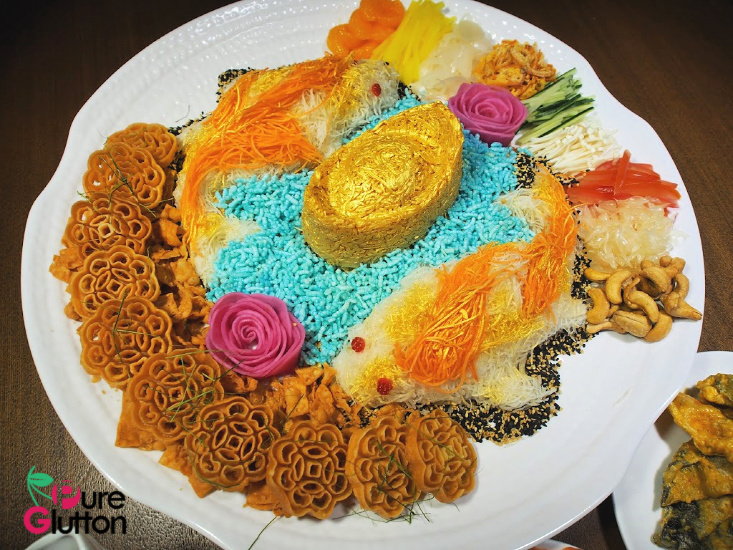 Labelled “28K Golden Koi YU Sang”, it takes Masterchef James Ho about 20 minutes to assemble this beautiful creative platter. 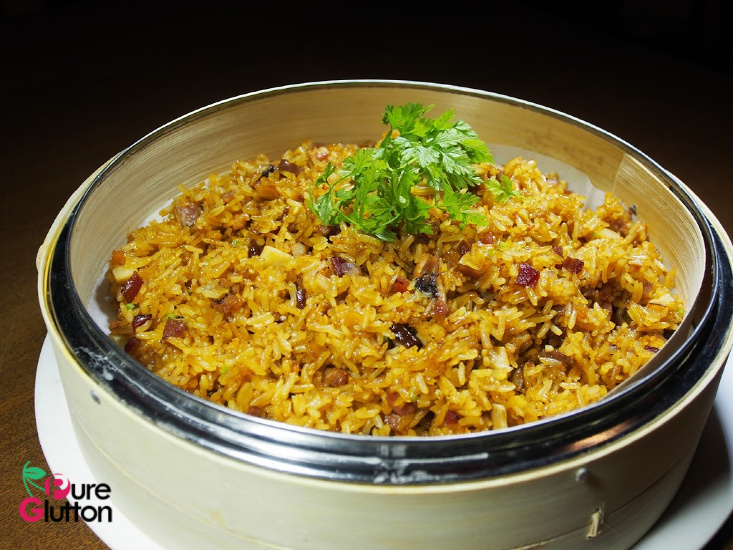 After all, this is Ruyi – where food takes on the forms of art and Chef James’ creative touches is the name of the game. 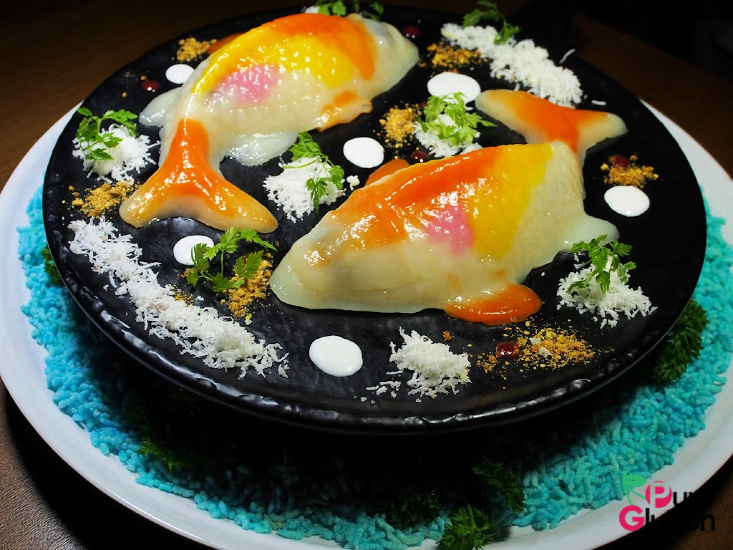 Central on the plate are two lively colourful koi fishes made of shredded carrots and radish swimming on blue pea flower-tinted rice puffs. In between the kois is a gold ingot, shaped using ginger and green carrots and dusted with 28K edible gold. All around these are the other accompaniment of pickled leek, mandarin oranges, pomelo, dried persimmon, cashew nuts, pickled radish and papaya. 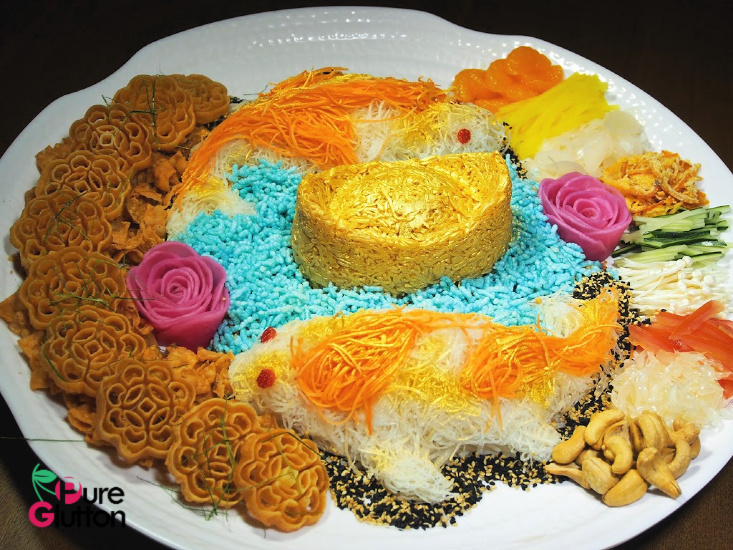 It’s not surprising that the chefs at Ruyi make their own pretty “kuih rose” or “beehives” for the crunchy element of the yee sang. They also add in their wickedly-addictive house-made crispy salted eggyolk fish skin to the platter. Atlantic salmon sashimi in the form of appealing florettes and delicate bunches of sea caviar are the “sang” elements to this elaborate yee sang. 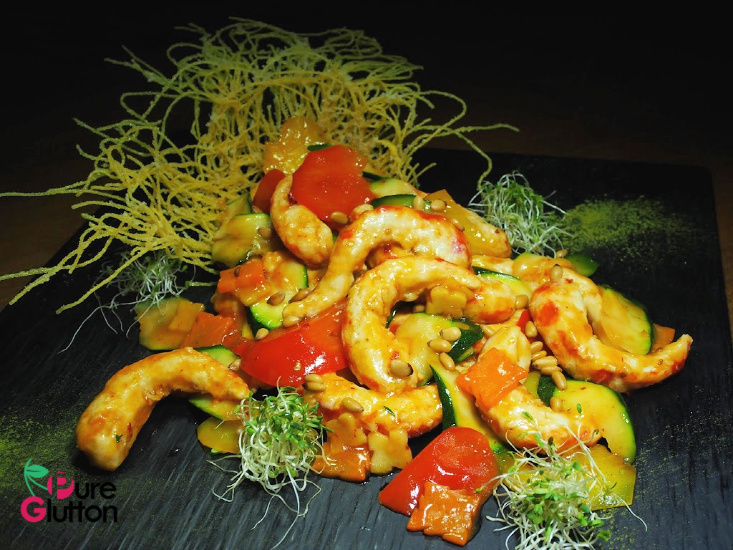 Truth be told, this Yee Sang is really too pretty – we can barely bring ourselves to “destroy” the intricate ensemble. But toss it we have to, otherwise good luck and prosperity may not come our way. The portion is huge, more than enough for 10 people, trust me. Besides this golden yee sang, there are several other versions on the menu, ranging from RM88 to RM938 (comes with a bottle of Dom Perignon Vintage Champagne & abalones!) per big portion. 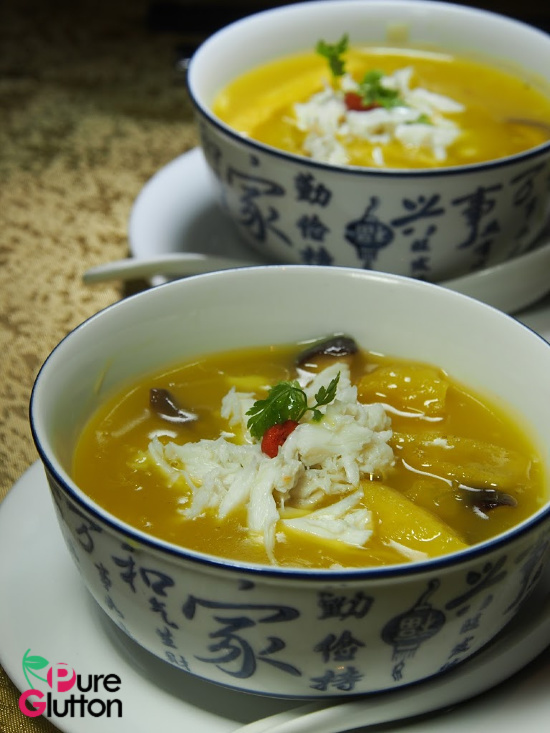 Seafood soup is always a hit – the Emperor’s Pot can be served with either real or faux sharksfins braised with dried scallops, crab claw and scented with saffron. More premium seafood in the form of “Boston Big Brother” will certainly impress guests. 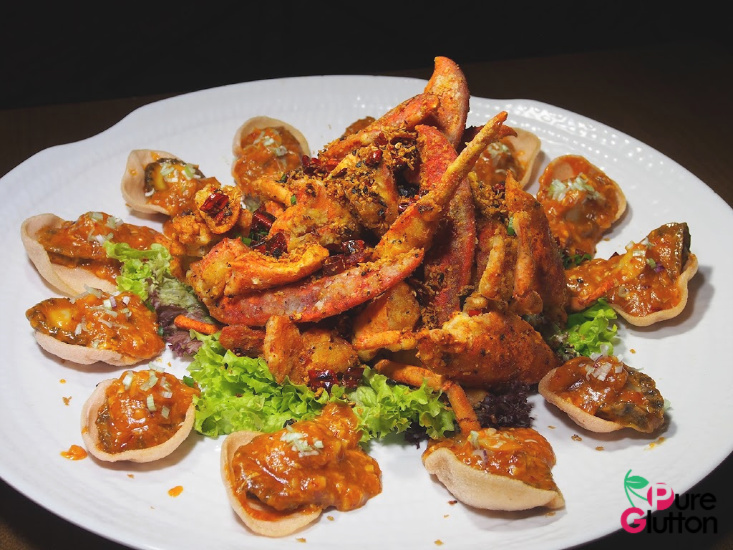 There’s lots of deep-fried garlic crisps clinging onto the lobster surrounded by succulent braised abalones and crunchy prawn crackers. 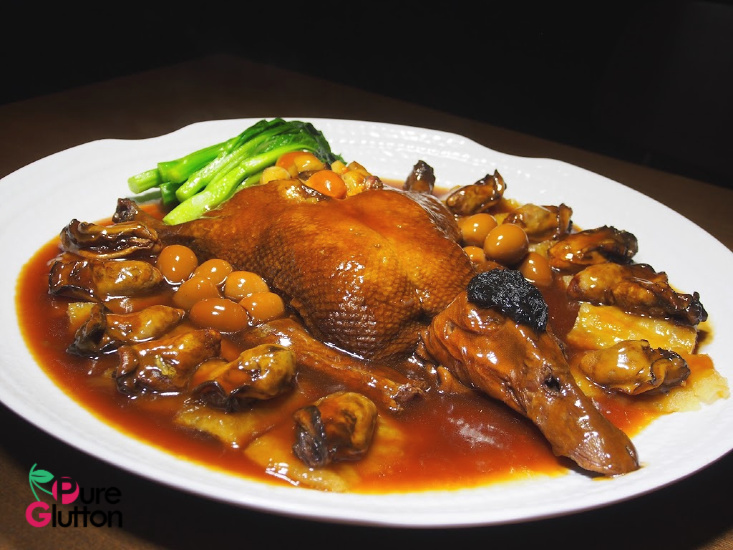 We like the use of dried seafood used for the 8-Treasure Duck, instead of the usual Chinese herbs. 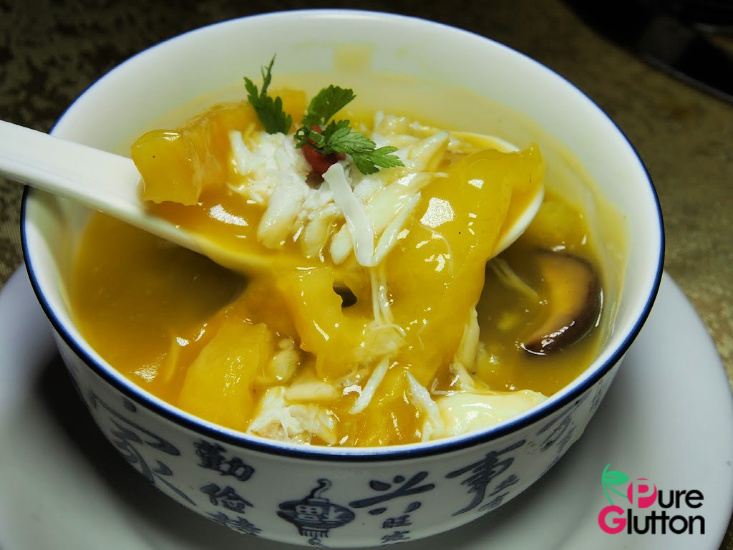 Abalones, together with dried oysters, chestnuts and salted eggyolks give the dish a deep umami flavor. 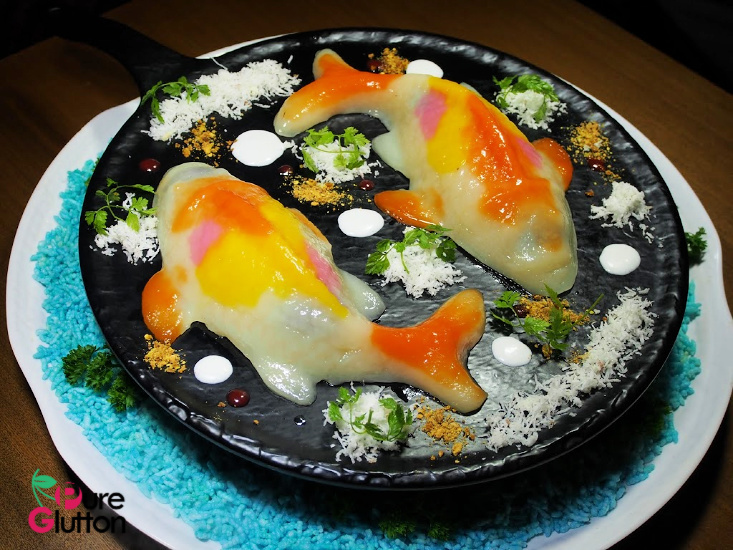 Kois seem to be the central theme at Ruyi this year. 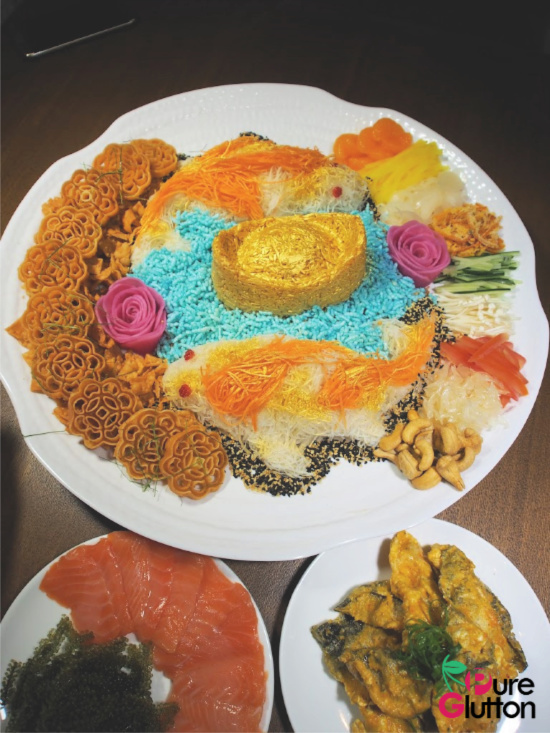 Besides the Golden Koi Yee Sang, the chefs here have also mastered the art of making “nian gau” in the shape of kois and filled with sweet red beans.